1See Dealer for Details. (1) Plus tt&l, all incentives applied. (2) Good for in stock vehicles only. (3) MSRP $29,490 factory rebate $4250 Dealer discount $2068. Conquest cash must own or lease a '99 or newer non GM vehicle $1,184 (4) The MSRP does not include charges added by the dealer or options added to the vehicle by the dealer. 2Monthly payment is $13.89 for every $1,000 you finance. Average example down payment is 4.5%. Some customers may not qualify. Not available with leases and some other offers. Take retail delivery by 4/30/19. See dealer for details. What makes the GMC Terrain so sought after by Lafayette drivers? The GMC Terrain is a compact SUV that is versatile and fun to drive. Whether you're travelling on city streets or on the highway, you will have a smooth drive, thanks to the available all-wheel drive. Tech lovers can take advantage of the available onboard 4G Wi-Fi hotspot and convenient cellphone integration. StabiliTrak steering technology and cutting edge safety features such as Blind Zone Alert and Lane Departure Warning will help keep you secure and in control on any road. 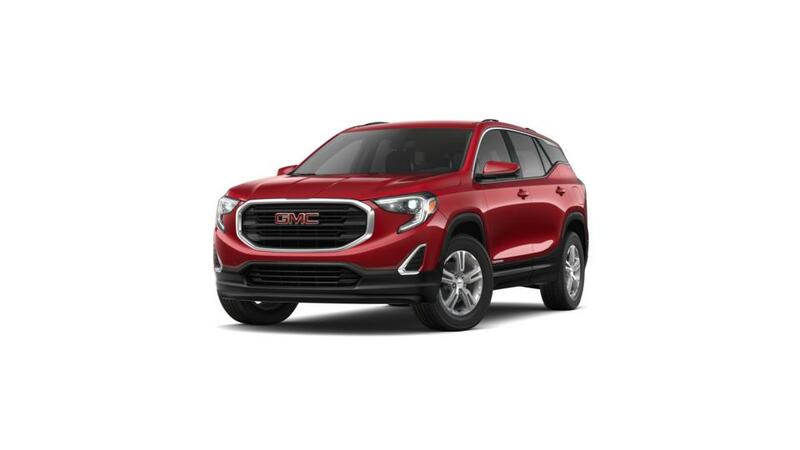 Browse our inventory of new GMC Terrain vehicles in Lafayette to choose the color and trim that you're looking for. Also be sure to check out our special offers on the GMC Terrain. Contact us at 337-326-4983 for more info and to plan a GMC Terrain test drive. We have a huge inventory of all the latest New 2019 GMC Terrain vehicles, as well as used cars, trucks and SUVs of all makes! See why Buick and GMC buyers from Opelousas, New Iberia, Baton Rouge, Youngsville, Broussard and Crowley trust Courtesy Buick GMC Lafayette to find the best selection, and best prices when shopping for a new or pre-owned vehicle. See our inventory of New Buick Vehicles, New GMC Vehicles, or our large selection of used cars, trucks and SUVs. If you're looking for a specific vehicle type, we carry trucks, SUVS, and cars for sale in Lafayette. Call 337-205-9409 to schedule a test drive!